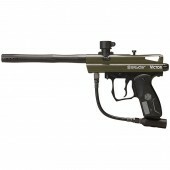 Spyder Paintball Guns There are 5 products. You can get upwards of 1800 shots from a single 20oz CO2 tank! Spyder's newest guns, the MR6, E-MR6, and the Hammer 7, are also First Strike ready, giving you the ability to switch between regular .68 cal paintballs, and the incredibly accurate and far-shooting First Strike paintballs from Tiberius. 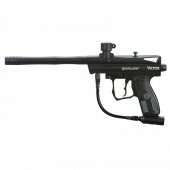 Does Badlands recommend Spyder paintball guns? You bet we do!